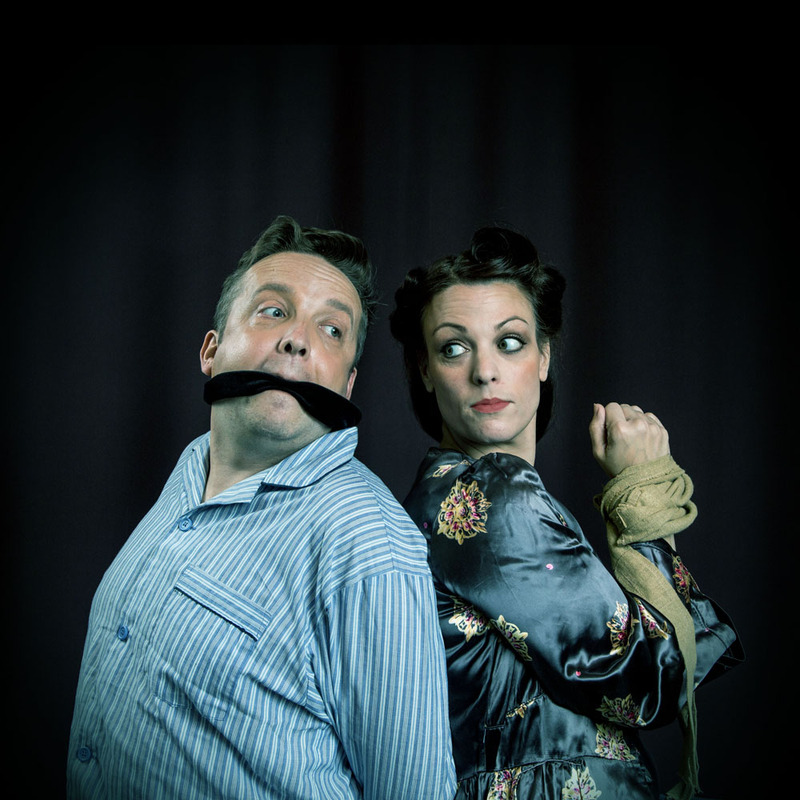 A pick-n-mix of one-act plays directed and produced by new talent. We have been looking for new directors and production crew to take part in our first incubator programme for theatre creatives. Three plays will be performed during the week of the 17 - 21 October. New Directions is in memory of the late Ursula Wright who taught many of us so much. A pupil seeks the tuition of a professor to help with her exams. Her perceived ignorance causes him much frustration. Meanwhile, the maid worries about the professor's health as his insane rages bring proceedings to a boiling point. Originally a comment on Totalitarianism, this comic drama is theatre of the absurd. Ionesco has been compared to Beckett and is a master of non-sequiturs and absurdity. A love song to the American Dream at its most destructive. Slim and Cavale hide out in sin and squalor, trapped in a cycle of poverty and thwarted rock star ambition. Can the imaginary Lobster Man deliver the redemption they crave? Cowboy Mouth is a contemporary classic, written and originally performed by Sam Shepard and Patti Smith (later abandoned by Shepard as being too close to real life). It is a full-on confrontation of a play, as energetic and thrilling as it is depresing. Contains frequent strong language. Over 18s only. A classic Coward comedy set in the bedroom of a French villa. Stella and her husband Toby are outstaying their welcome. Despite appearances, they are broke. Over the course of two days, we follow the couple as they go from merely keeping up appearances to hilariously desperate efforts to deal with their financial situation. The idea of New Directions immediately struck me as excellent. I have always believed in the introduction of new people and ideas. I am very well aware of the vast range of skills, knowledge and imagination required, not to mention all the responsibilities involved even before the audition. There is interpretation, set design, style and costume all to consider and the idea of having a mentor to smooth the way is extremely sensible. I went to the Saturday performance with an open mind aware that the whole project was a learning experience and to some extent this was apparent during the course of the evening. There were three plays performed that night. First was The Lesson by Eugene Ionesco directed by Lisa Wright and mentored by Matthew Fell. Although this play is considered to be one of the most important plays in the Theatre of the Absurd genre, I realise it is not to everyone's taste. These plays always seem to contain hidden meanings or agendas, usually protests against political leaders or regimes. 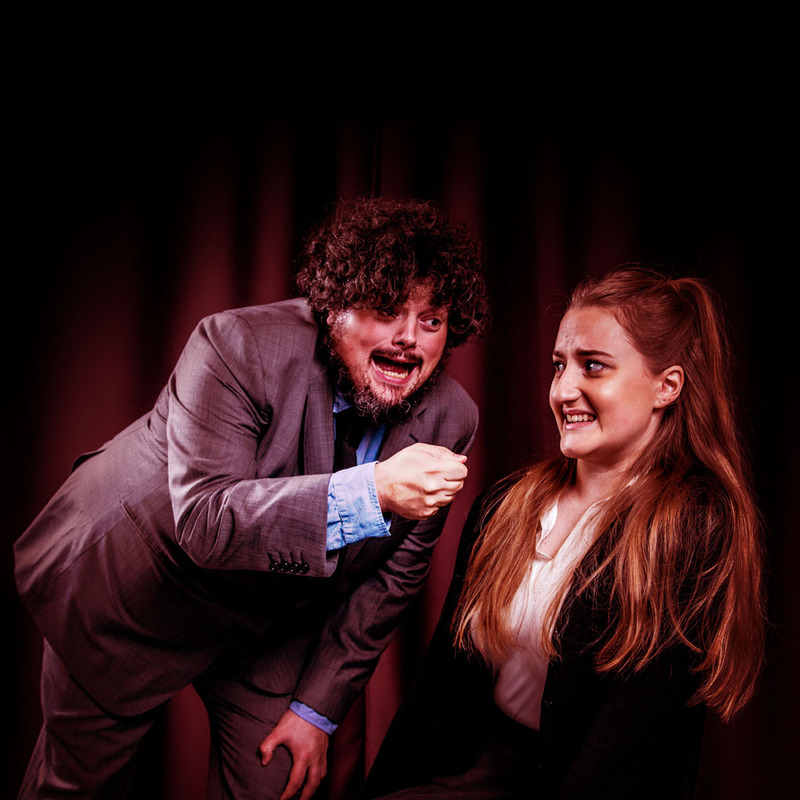 The play is the interaction between a not very bright pupil, played by Caitie Pardoe, who it was good to see on the Playhouse stage for the first time, and the seedy and nervous yet bad temnpered professor who becomes so frustrated with his pupil that he ends up killing her. Throughout The Lesson, there are numerous interruptions by the maid, plays by Katy Corrie, who - on discovering he has killed another pupil - puts an arm band on the professor for protection. This to me was key to the underlying meaning of the whole play. Unfortunately, there were some technical issues which caused disruption to the continuity. Next, after a short break, was Ways and Means by Noël Coward, directed by Emma Robson and mentored by Beverly Webster. The action takes place, in a hotel room, between married couple Stella and Toby Cartwright, played by Sherrilyn Reynolds and Andy Rowe. Once wealthy, they are now desperately broke. 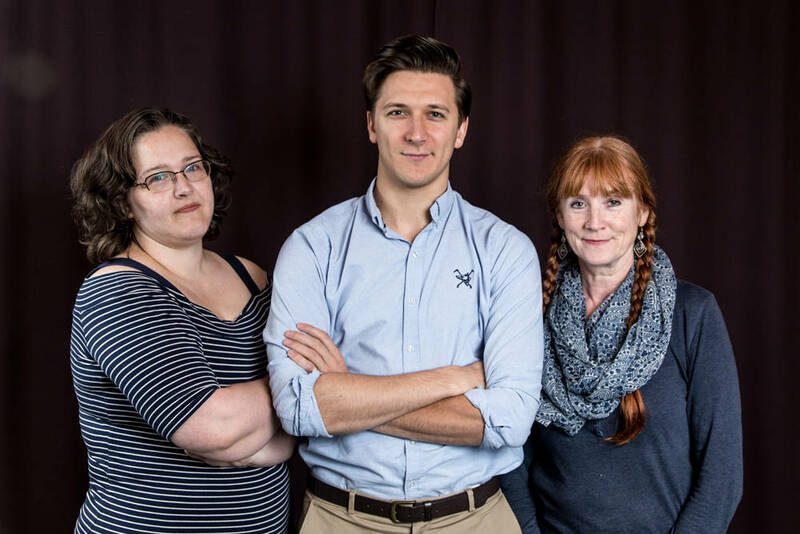 There are various visits by wealthy chums, played by Mark Farey, Tamsyn Payne and Katy Corrie. The day is finally saved by the unsuccessful burglary by Stevens, played by Ian Bradley, the chauffeur of one of their chums. Also integral to the plot are Nanny and Murdock, played by Beverly Webster and Owen Warr. I did find it a while to adjust to the frivolity of Coward after the seriousness of Ionesco. Finally we had Cowboy Mouth by Sam Shepherd and Patti Smith, directed by Tom Hendryk and mentored by Alex Rex. I had no adjustment problems here as the play was so powerfully written, performed and directed. I am not sure I fully understood it There did not seem to be a conventional plot; it was more a sort of drug-fuelled fantasy played out between Slim and Cavale, excellently played by David Eadie and Julia Langley. The action takes place in a seedy hotel room and there are two visits by a street musician, played convincingly by Ian Bradley, who Slkm and Cavale think is the 'Lobster Man'. All very strange and 'Rock n Roll', but I loved it. During the course of the evening there were some excellent cameo performances by Katy Corrie, Owen Warr, Tamsyn Payne and Beverly Webster. Overall, it was an interesting and varied evening, giving audiences the chance to see plays that are not usually performed.